North Tyneside theatre awarded certificate of excellence third year running. 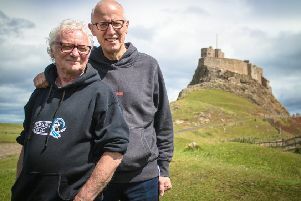 A North Tyneside theatre is celebrating the news they have been awarded a certificate of excellence for the third year running. The Playhouse Whitley Bay said it was ‘elated’ to announce, that it has been recognised as a Top Performing Theatre, as reviewed by visitors on TripAdvisor, for a third consecutive year. Now in its fifth year, the award celebrates excellence in hospitality and is given only to establishments that routinely achieve great reviews. Certificate of excellence winners are awarded for giving, consistently superior customer experience. Theatre Director Phil Smith said: “We’re obviously delighted to receive this award for the 3rd year in succession. The Playhouse team work very hard to put a warm welcome and customer service at the heart of everything we do and it is a testimony to everyone’s effort that the public have reflected that back in their comments. In the past year, over 91 per cent of patrons rated The Playhouse as either a 4 or 5 star venue on the TripAdvisor site, with customers reviewing the venue as ‘A great theatre in a beautiful sea view location, with a fresh, modern and spacious take’. Patrons also commented that the staff are ‘both wonderfully friendly and helpful’ a number of times and many praised the auditorium layout explaining ‘the seats are super comfortable, with plenty of leg room’ and ‘the perfect size for an intimate, atmospheric performance’ with ‘excellent sight lines, no matter where you sit’. Customers also paid particular attention to the quality of the two venue’s bars adding that ‘there is a fantastic, wide selection of drinks on offer’ and that ‘the pre-pay interval drinks system, works flawlessly along with reasonable drinks prices and well informed staff’. The Playhouse Whitley Bay would like to thank all patrons who added positive reviews to TripAdvisor in helping to make this achievement possible. and look forward to providing excellent service, when customers visit for our varied calendar of events, throughout 2015.